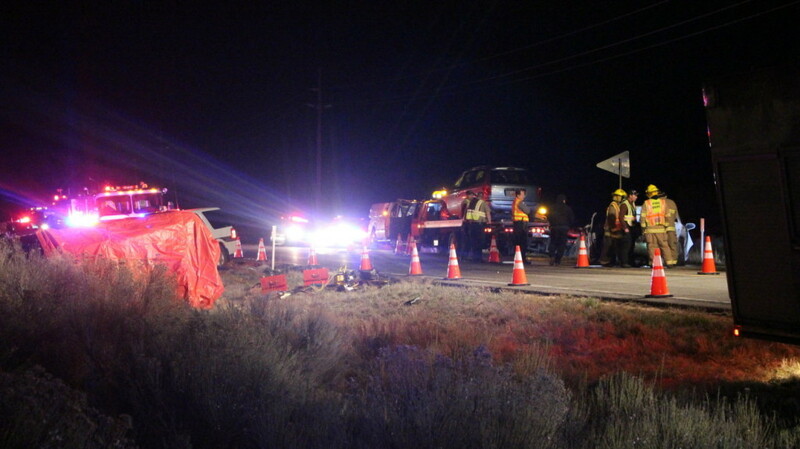 HILDALE — One person is dead following a collision involving four vehicles near Hildale Tuesday evening. 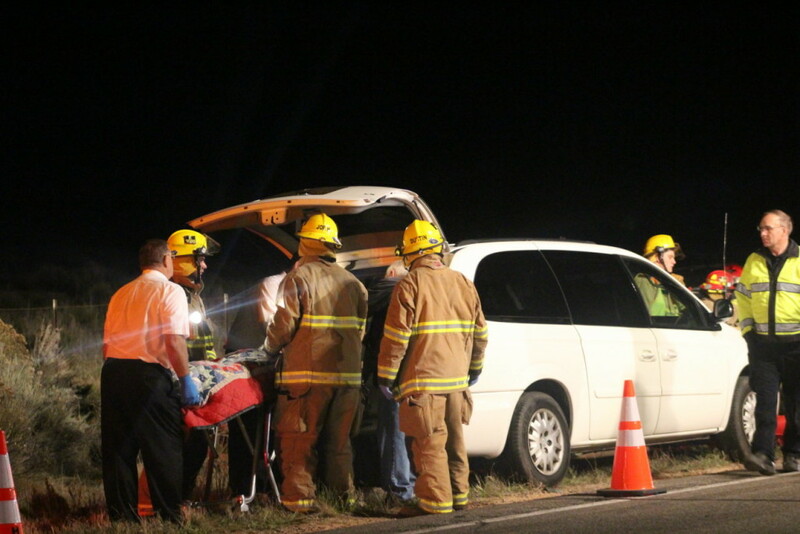 Emergency crews responded to reports of a crash around 9:11 p.m. on state Route 59, near milepost 3, on a stretch of highway between Hildale and Apple Valley. 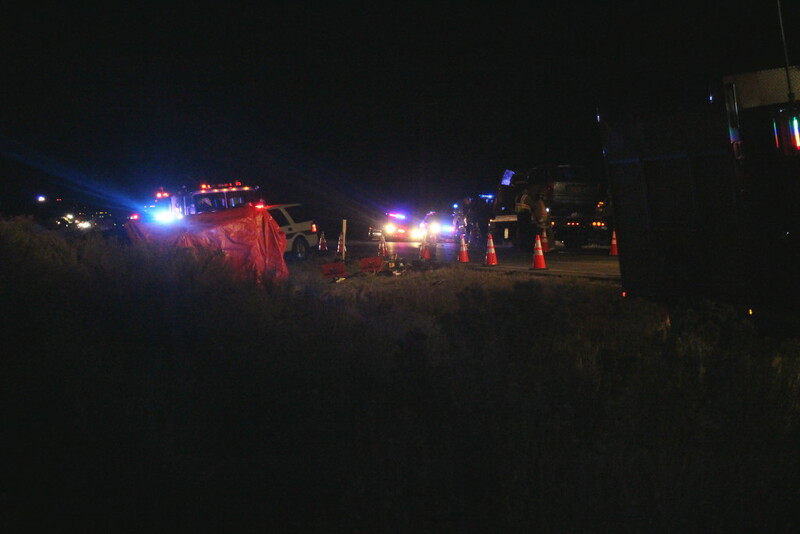 Utah Highway Patrol Trooper Jesse Williams said the collision that left a 21-year-old woman dead also seriously injured a 16-year-old male and resulted in a mother and child being taken to the hospital with minor injuries. 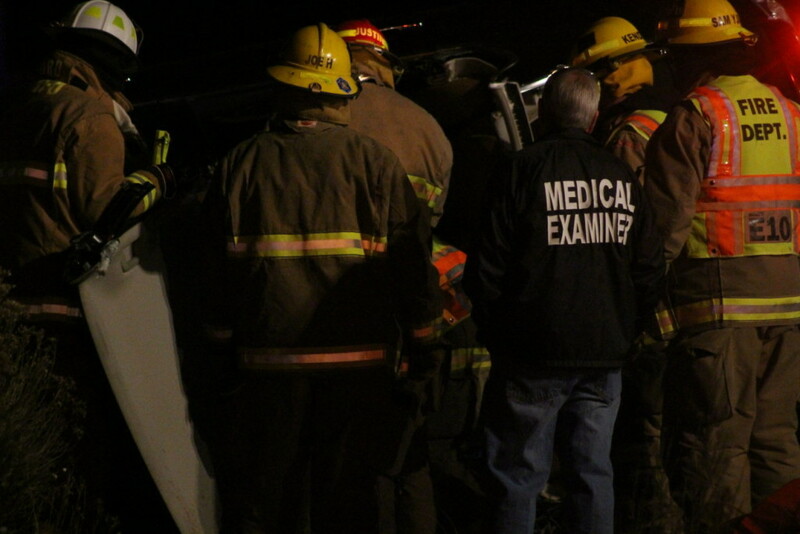 “The person deceased has family in the area,” Williams said. 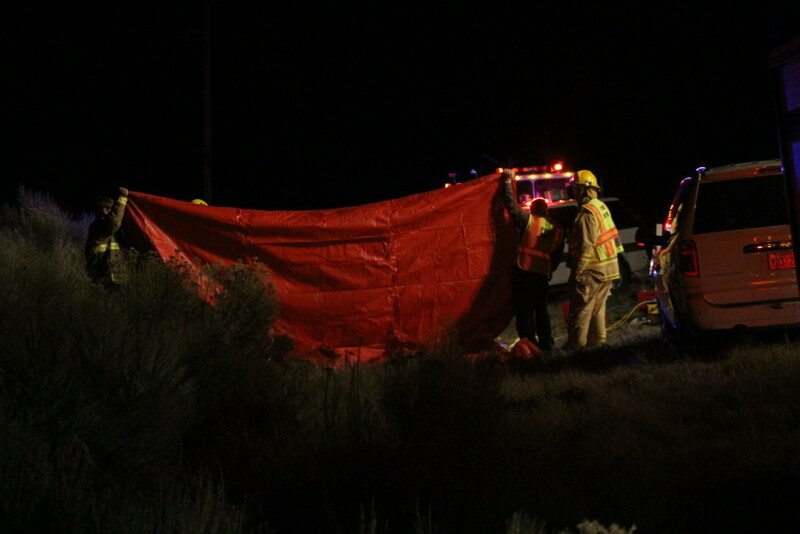 Notification to family members was underway late Tuesday. 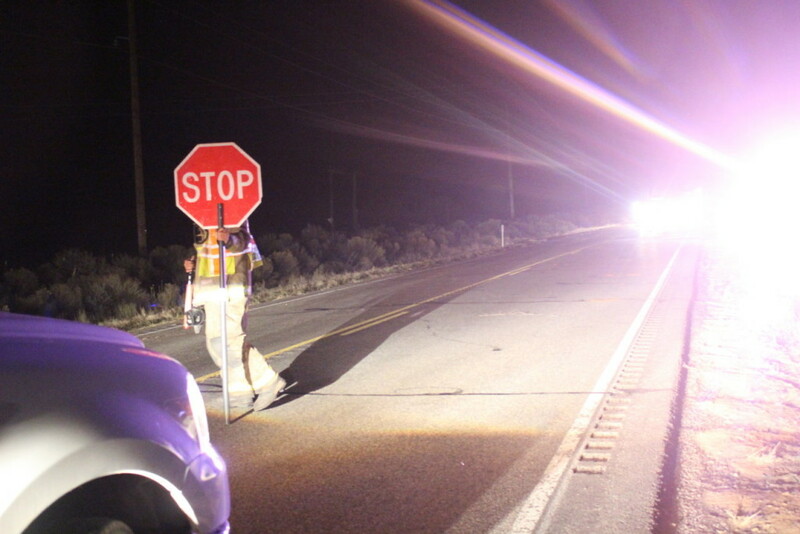 Witnesses at the scene told authorities that an Audi, driven by the 16-year-old male, was eastbound at a high rate of speed on the highway that links Hildale, Utah, with Colorado City, Arizona. 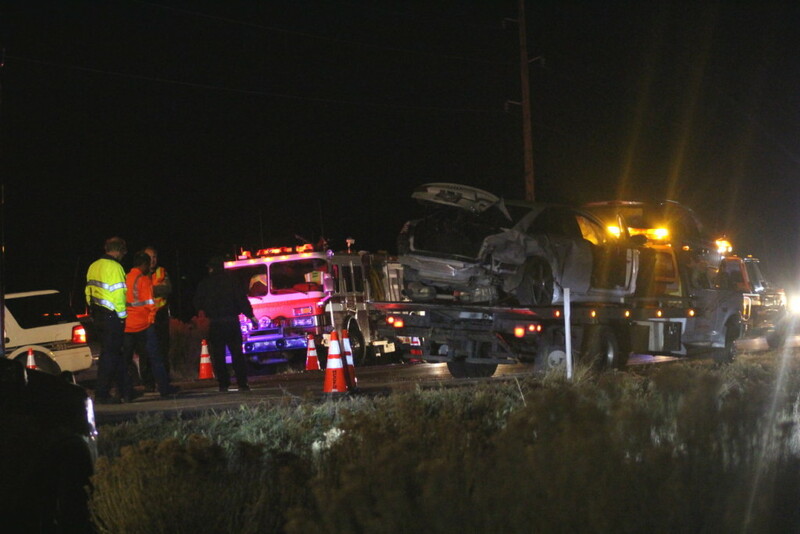 As the Audi’s 16-year-old driver attempted to overtake a pickup truck traveling in the same eastbound lane, it clipped the pickup and skidded sideways, slamming into a black Infiniti driven by the 21-year-old woman and a minivan, both traveling westbound in the opposite lane. 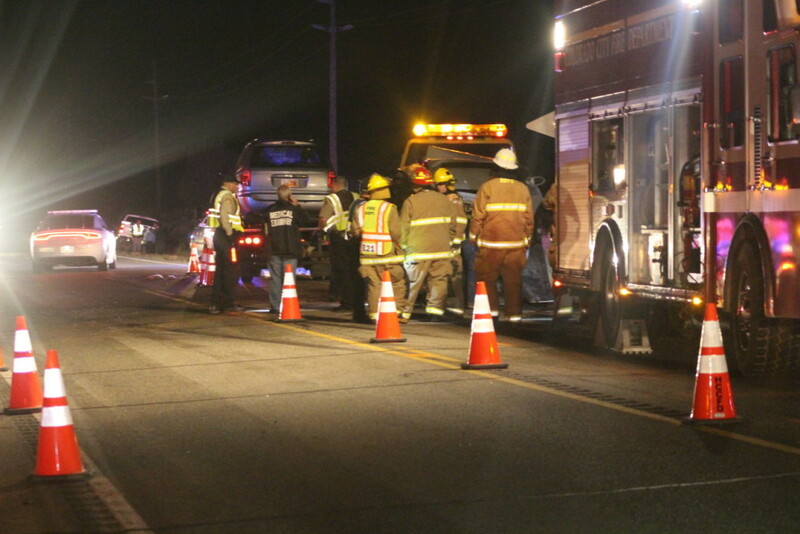 Three of the four vehicles involved were totaled in the crash and towed from the scene. 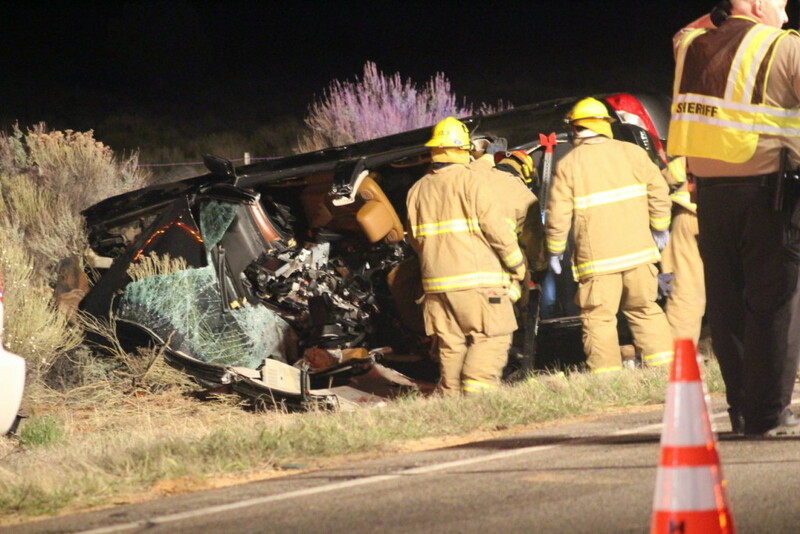 The pickup truck driver, a male from Hildale, was able to drive his vehicle away. 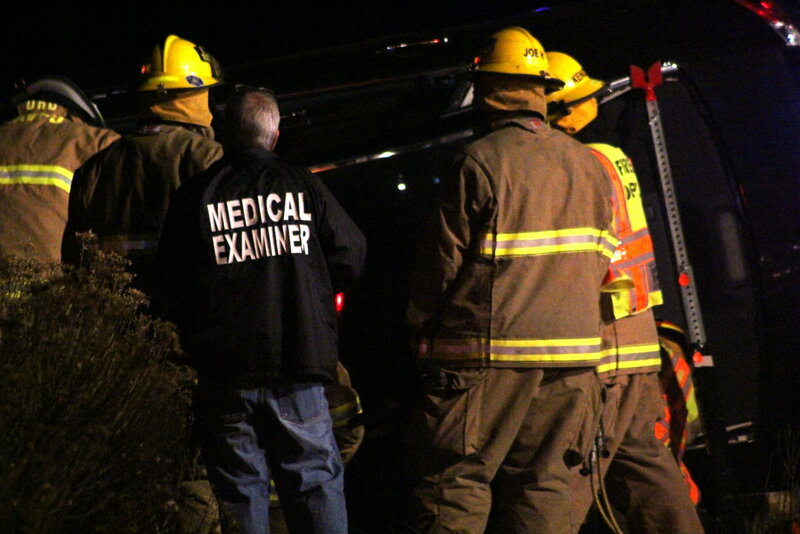 The impact caused the Infiniti to roll onto its side just off the roadway, where it caught fire. Arriving first responders put the fire out. 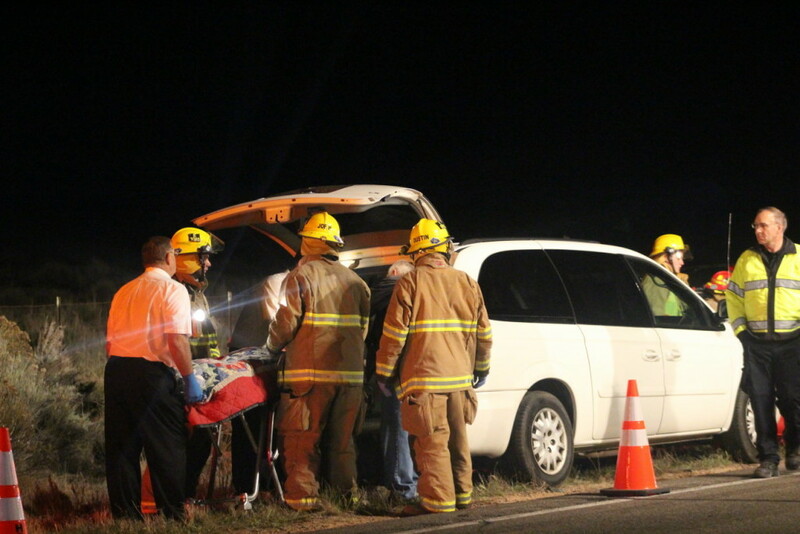 Both the mother and child in the minivan were transported to Dixie Regional Medical Center in St. George by ambulance with non-life threatening injuries, Williams said. Their hometown was unclear as this report is published. 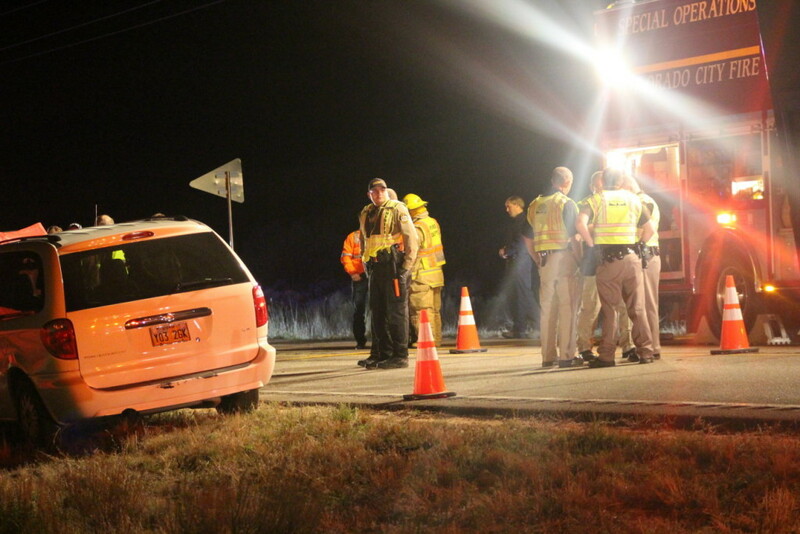 The 16-year-old male, also from Hildale, was transported to the hospital in critical condition. 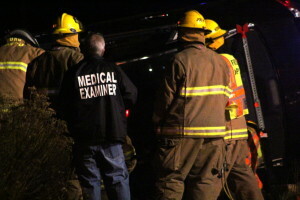 Traffic was closed in both directions on state Route 59 for more than two hours while crews worked to clear the area. 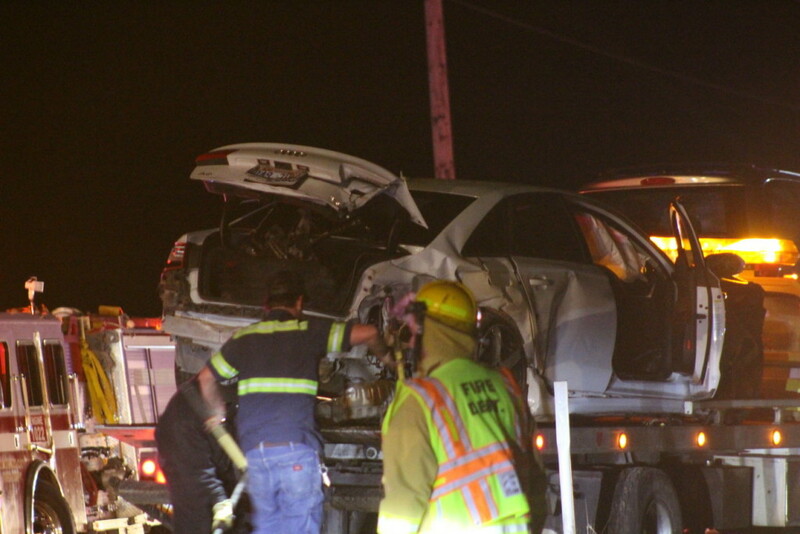 The scene was cleared and traffic was moving again by 12:50 a.m. Wednesday. 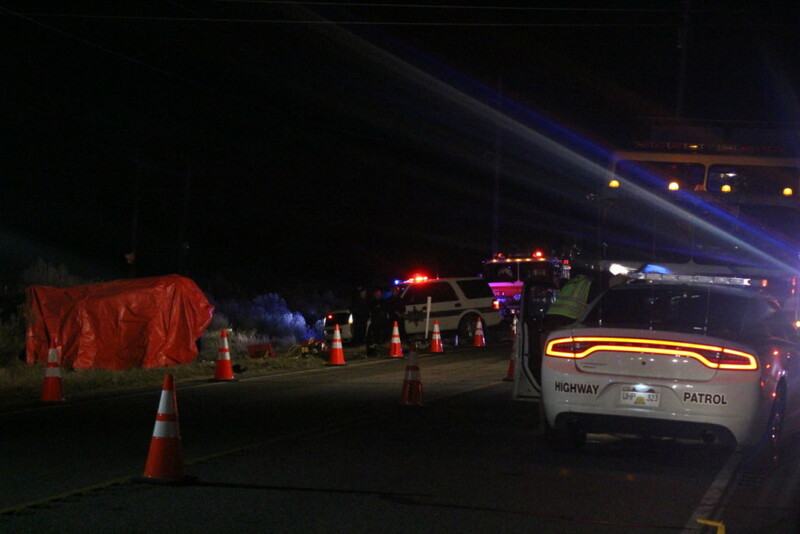 Multiple agencies responded to the crash and included units from the Utah Highway Patrol, Washington County Sheriff’s Office, Colorado City-Hildale Marshal’s Office, Hurricane Valley Fire District, Colorado City Fire Department and the Utah Department of Transportation. This is terrible. We need to ban 16 year olds from driving. This tragedy could have been avoided with some simple, common sense driving restrictions on teens. That kid had better get his citation for reckless driving. Vehicular homicide would be a better charge. A plea would be up to the family if they deem it fair and justified. Comments from the keyboard felons? dotboy, are you really so easily entertained?